1. At the Parapan Am Games, three sports are played by athletes with visual disability: Goalball, football 5 a side and judo. 2. In para-athletics, wheelchair racers like Canadian Brent Lakatos use gloves to protect their hands. They punch and hit the wheels to propel themselves forward. The gloves envelop their hands and make a fist, and they use their knuckles to hit the wheel. 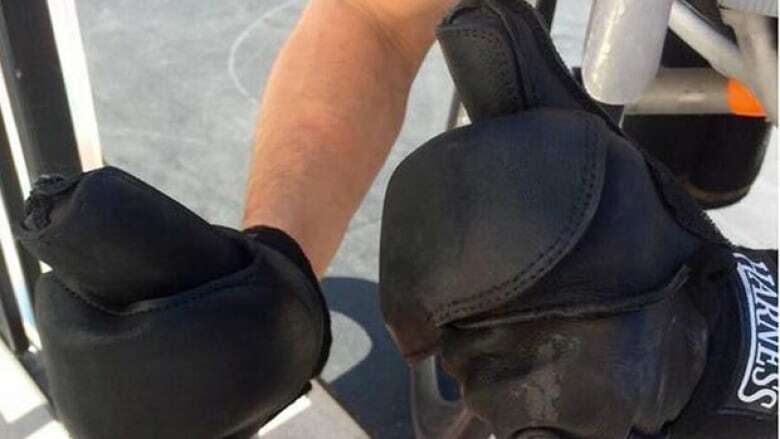 The gloves are made of leather, a rubber surface and have a lot of padding. 3. A goalball is about the size of a basketball. It weighs 2.7 pounds and does not bounce. It also has bells inside so players can hear where the ball is. In a goalball game, the audience is asked to turn off their cell phone ringers and stay quiet during game play so that the players can hear what is happening on the court. The crowd can cheer after a goal is scored. 4. In wheelchair rugby, a team has a 40 second-shot clock that begins when a player successfully inbounds the ball.